Why would I need self storage in Spring Hill, FL? There are a variety of reasons why you might need self-storage in Spring Hill, FL. How much is a storage unit in Spring Hill, FL? The cheapest storage unit in Spring Hill, FL is $64.00 per month. What size storage units do you have available in Spring Hill, FL? In Spring Hill, FL we have sizes that range from 5'x5' to 10'x30' to suit your storage needs. How much is it for a 5'x5' storage unit in Spring Hill, FL? The cheapest 5'x5' storage unit in Spring Hill, FL is $64.00 per month. Spring Hill is a census-designated place in Florida's Hernando County, just north of the major city of Tampa and east of Hernando Beach. The city has seen rapid growth in the past several decades, becoming a popular home base for commuters who work in neighboring cities. Spring Hill is considered part of the Nature Coast region, an area known for its wildlife, scenic landscapes and plentiful outdoor recreational activities. The area where Spring Hill is now located has had settlements of Europeans and Native Americans since at least the 1700s. The first settlers to the community of Spring Hill were the Law family, who moved here in 1842. Hernando County itself was not officially created until 1843, but by 1860, the county had already grown to a population of approximately 1,200 people. The town of Spring Hill has been on the maps of Florida since 1856, but at that time there wasn't a town to truly show for it. The modern-day town was established in 1967, founded as a planned community by the Deltona Corp. and the Mackle brothers. It was originally named Spring Lake, until the developers were informed that a nearby community had already taken that name. The Mackle brothers created a large-scale advertising plan that helped Spring Hill grow significantly in its early years. Spring Hill is a relatively quiet community, but there are still several attractions that draw both locals and tourists. Nearby Weeki Wachee Springs, home to a large population of manatees, offers scuba diving and kayaking in its famously blue waters. It's also the site of a well-known live performance starring several "mermaids." Small rides round out the Weeki Wachee Springs attractions, and camping sites are available if your family would like to make it an overnight trip. Buccaneer Bay is another local water-based attraction, the only spring-fed water park in the state. Several slides and pool areas provide an enjoyable place to soak up the Florida sun. There are also several area parks that feature walking paths, scenic water views and the opportunity to see manatee families. Hiking, boating and fishing are just a few of the activities to choose from at parks like Rogers Park, Linda Pedersen Park and Crews Lake Wilderness Park. The Hernando County School District oversees the public schools in Spring Hill. In addition to its traditional campuses, the district also operates an alternative school and a few charter schools. You can also enroll your child in one of the community's faith-based, Montessori or college-prep campuses. The Spring Hill Campus of Pasco?Hernando State College provides four-year degrees in a variety of programs. Utilities: The Hernando County Utilities Department manages the distribution and billing of water services in Spring Hill. The city's primary power provider is the Withlacoochee River Electric Cooperative. Garbage and Recycling: Most residential areas of Spring Hill receive twice-weekly trash collection, while yard waste is picked up every other week. Transportation: Hernando Bus operates a network of local routes throughout the county, including a handful in Spring Hill. Spring Hill offers a variety of housing options, whether you're looking to rent or buy. Purchasing a home is an affordable option, with home prices that are well-below the Tampa-area average. Ranch-style homes are fairly popular in Spring Hill, with standard features often including garages and swimming pools. Our lowest priced units in Spring Hill, FL average $64.00 per month. 97 people have reserved units in Spring Hill, FL in the past 30 days. 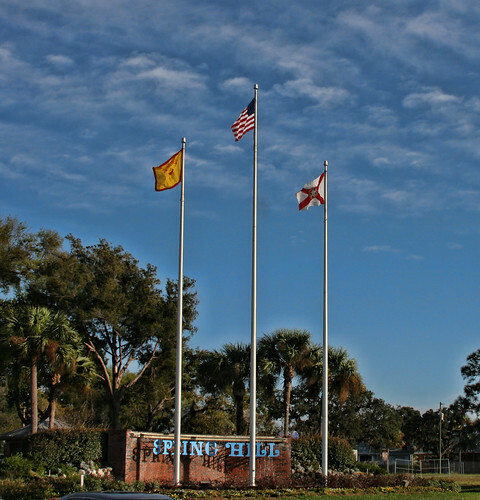 There is 1 location within Spring Hill, FL's city limits. There is 1 location in Spring Hill, FL that offers AC and Heating features.